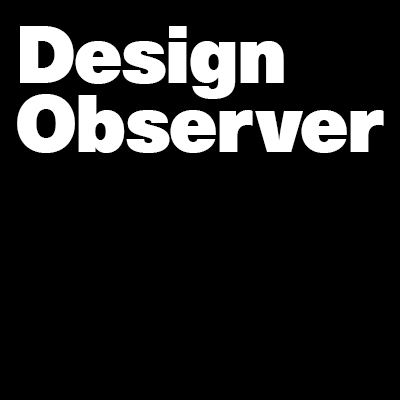 Last year, the Rockefeller Foundation asked William Drenttel, a founder and editor of Design Observer, to consider ways to develop collective action and collaboration for social impact across the design industries — and encompassing a range of other institutions that work on the needs of poor or vulnerable people. After all, designers have long reached out to people in need. They’ve built emergency housing for the victims of natural disasters and war. They’ve created low-cost devices for purifying water, capturing and storing energy and delivering medical information and services. They’ve fashioned communications to educate diverse communities—mothers, voters, patients, workers—about issues vital to their welfare. Designers proved themselves to be committed environmentalists long before green was trendy. They’ve educated clients about recycled paper stocks and sustainable building practices and pushed for innovations in materials to limit waste without compromising aesthetic or functional standards. Not least, designers have envisioned a future of intrusive technology and scarce resources and rushed to fend it off. They’ve folded technology delicately into schemes to preserve human warmth, scale and texture, so that the world is filled with astonishing prototypes for breathable building skins, featherweight, fabric-covered cars and miniature labs synthesizing “victimless leather” from living cells. Among the proposals to the Rockefeller Foundation was a website that would report on global design projects undertaken to improve health, education and housing. But that wasn’t all: this site would explore the complications embedded in every aspect of design and social change. It would encourage but also question, and maybe even challenge, the myriad efforts to make the world cleaner, greener, healthier, more prosperous and more energy-efficient. It would treat socioeconomic, geopolitical, creative and natural forces as an interconnected web. And it would represent design as a multifaceted entity, too, capable of producing a tool, a process, a graphic, a shelter or a system. That is how Change Observer came about, with support from the Rockefeller Foundation. This is what we aim to provide: thought-provoking reports, essays, reviews and dialogues about social innovation, presented through the lens of design. Debates rather than cheerleading rallies. Questions rather than sentiment. Today, an economic crisis has redoubled the world’s commitment to building a more equitable future. By keeping track of the forces that bring vitality to the biosphere, as well as those that threaten the well-being of cherished species and institutions, Change Observer seeks to ensure that such commitment never wavers. We invite you to join us on our watch. Congrats on Change Observer! I have been waiting to see the blog that was to become an intiative of the Winterhouse Institute and believe it was a smart move integrating with the new Design Observer Group. Looking forward to some great and insightful reporting! This is perhaps the first tangible outcome of the bellagio conclave on social impact.